Many will likely contribute the Chromecast to the product that kickstarted Google’s hardware division. Sure, they’ve sold other products in the past, but the company has sold tens of millions of Chromecast units and has integrated the feature into many of its services. Google is currently on its 3rd generation of regular Chromecast devices, but in 2015 they launched the Chromecast Audio. However, it’s been rumored that Google has been wanting to stop selling the device and now it has been officially confirmed. 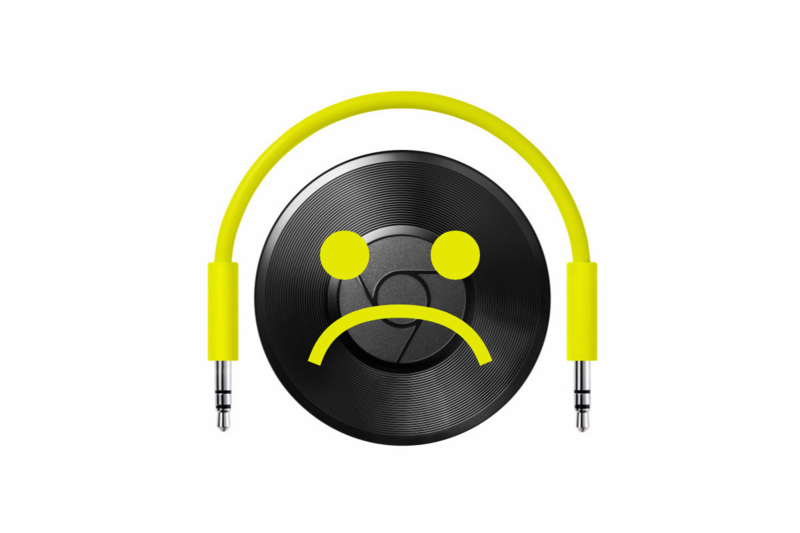 Google spokespeople from multiple sources have said the company has discontinued the Chromecast Audio. While the regular Chromecast was used to stream video media (1080p @ 60FPS with its 3rd gen version), the Chromecast Audio was made for those who only wanted an audio solution. Instead of the HDMI connector that the regular Chromecast used, the Chromecast Audio opted for a combined 3.5mm audio jack and mini-TOSLINK socket. The other big difference here was that it came with an actual audio DAC (the AKM AK4430 192 kHz 24-Bit to be exact) and it seemed like a good fit alongside the regular 1080p Chromecast and the 4K Chromecast Ultra. We don’t know if this product was discontinued due to poor sales, but some speculate that was the case since the originally priced $35 device was discounted down to $15 from Black Friday 2017 all the way through to the end of February that next year. To many, that indicates the company had lost faith in the product and had a lot of stock to get rid of. Some customers who ordered this device for Christmas are being told it has been discontinued and their orders canceled.